Reception studies stands out as a fast-growing area of research within audiovisual translation. Although most studies to date have focused on subtitling, other modalities of translation are beginning to receive more attention as users gain more exposure to them. This chapter delivers an overview of research methods used to study reception and a range of experiments that have been conducted within audiovisual translation studies. Traditionally, the most popular methods have been questionnaires and eye tracking, but interviews, focus groups and direct observation have also been used. As in most other areas of translation studies, methodological triangulation is bound to yield particularly sound findings. In the case of interlingual subtitling, reception studies have been more concerned with empirically testing established professional standards; in less established audiovisual translation modalities, such as audio description, reception studies have facilitated the development of guidelines and standards. 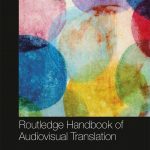 A number of future research avenues for reception studies in the context of audiovisual translation are sketched in the final part of the chapter. Future studies could draw on translation sociology to assess the social impact of audiovisual translation, and adopt a cognitive perspective to become better acquainted with the cognitive effort involved in processing translated media content. David Orrego-Carmona is a Lecturer in Translation Studies at Aston University (UK) and a Research Associate at the Department of Linguistics and Language Practice at the University of the Free State (South Africa). 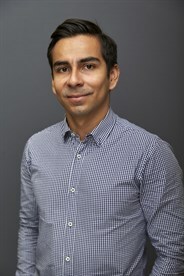 His research explores the production and reception of professional and non-professional translations, as well as the impact of the democratization of technologies on the consumption of translations.